When more and more bloggers, designers, celebrities, up-and-coming designers and people from the national and international fashion scene frolic in a city, then it can only mean it’s time for the Fashion Week. 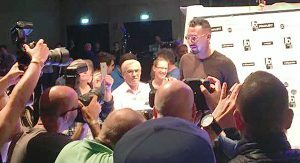 The Fashion Week took place in Berlin from the 2nd to 6th of July 2018. For one whole week, it’s all about fashion, beauty and brands and we’re delighted to give you a peek behind the scenes. The eleventh Berlin Fashion Week was opened by the designer duo Botter from Antwerp. The designers from Belgium convinced with streetwear and casual collections, distinguished by oversize looks, prints and wide cuts. An important message was also evident in the staging of the collection: the models wore fishing nets and plastic bags as jewelry and rubber inflatable sea creatures on their bodies. A clear statement against plastic in the oceans, net and overfishing! Among the fashion highlights on the runway was also the Berlin-based Marina Hoermanseder, who had already convinced US star Lady Gaga with her unusual designs. To accompany the musical hits of the 90s, Hoermanseder presented outfits suitable for that era on the catwalk: mini-skirts, jogging suits, bustier dresses – and everything in bright colours, shimmering materials and eye-catching cuts. In addition to the fashion shows by various well-known designers, such as Hugo Boss, Isabel Vollrath and Michael Michalsky, as every year, up-and-coming talents have the opportunity to present their collections for the spring/summer of 2019. 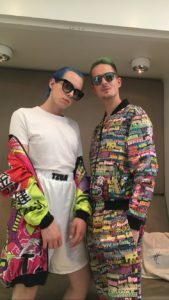 For example, the young designer Danny Reinke won one of the coveted show-slots and was able to present his collection at the Mercedes Benz Fashion Week. The boy scout style permeated his entire collection: his hallmarks this season were cargo shorts, blouses and knee socks in light earth tones but clashing the style with lots of tulle. The Berlin Fashion Week once again distinguished itself this year by the diversity of styles and individual designs. In addition to the runway shows, all kinds of side events took place. 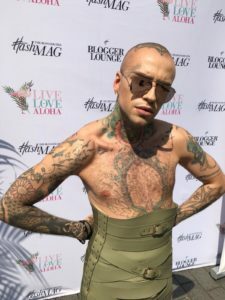 From showrooms of individual designers and designer sales exclusively for fashion week, fashion conferences, rooftop open airs and vernissages and also to the blogger lounge. Edel-Optics was exclusively present at the HashMAG Blogger Lounge in the scene location “Berliner Freiheit”. For two days, companies and over 500 bloggers and influencers got together, exchanged views and joined forces for future collaborations. Under the motto “Live, Love, Aloha” a Hawaiian atmosphere was created in the 500m2 area. Colourful flowers and plants, tropical fruit and cool drinks were available in abundance. 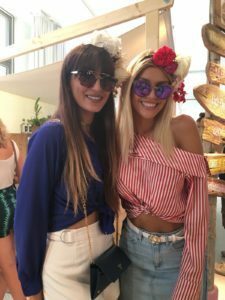 Equipped with plenty of goodie bags, including designer shirts and sunglasses, Edel-Optics enthused bloggers, influencers and celebrities. The sunglasses from the Sylvie Optics collection by Sylvie Meis garnered special attention. For example, hair and make-up artist David Jakobs wore the Active model from the Sylvie Optics collection. Despite his many tattoos and his exceptional style, the aviator sunglasses were an additional eye-catcher. Especially colourful in terms of fashion and hairstyling are the bloggers Jan Paaul and Nixxon_ized. Their styles are always striking and eccentric. With the stylish sunglasses models from the Sylvie Optics collection Classy and Passionate they emit even more self-esteem and a certain “Here I am” attitude. As you can see, even though the collection is eyewear for women, men can easily make a unique fashion statement wearing Sylvie Optics eyewear! Also the two Germany’s Next Top Model participants Gerda J. Lewis and Sara Leutenegger compete with their new Sylvie Optics models. The model Selfmade with the purple-pink mirrored lenses and the Passionate model with the pink frame and a plastic front in the Havana style can be combined with any summer look. 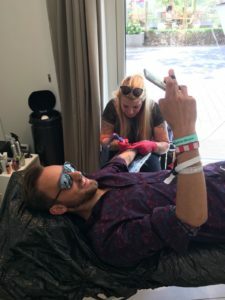 Another highlight was certainly the on-site built up tattoo studio of the artist Lilly, where every hour you had the opportunity to have a small tattoo done on-site. After five days full of new fashion impressions, trends and inspiring styles and people, the Berlin Fashion Week 2018 came to an end.